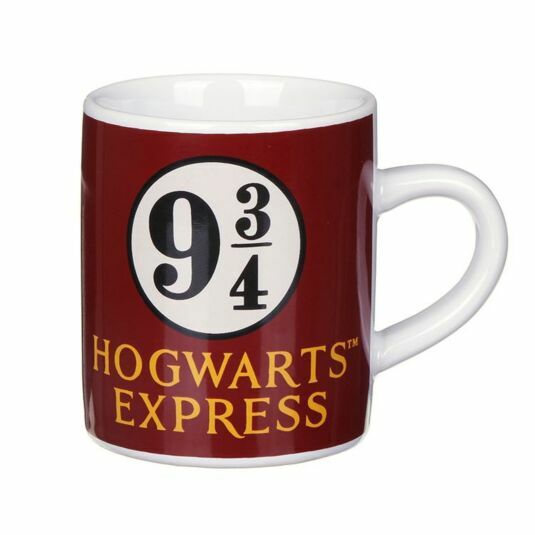 Prepare for the new year at Hogwarts with this lovely mini-mug, decorated with the Platform 93/4s badge. This cream circle, with 9 3/4s decorating the inside, is truly stylish. Beneath this badge are the words ‘Hogwarts Express’ in gold lettering. Celebrate the legacy of this magical world with this fantastic mini-mug. 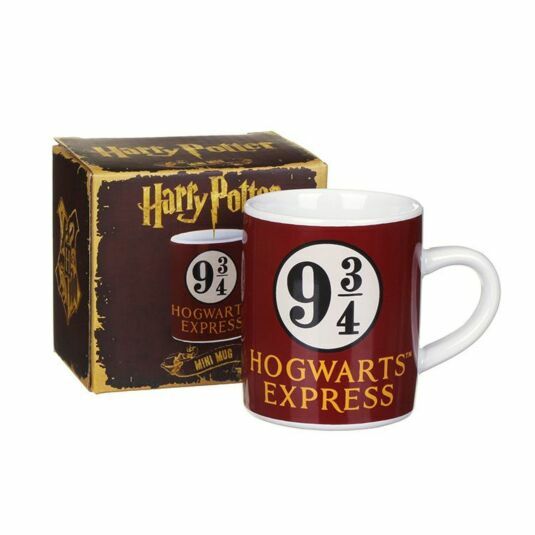 This mug is perfect for children, or perhaps adults who enjoy a large espresso before heading off for a busy day at the Ministry of Magic. 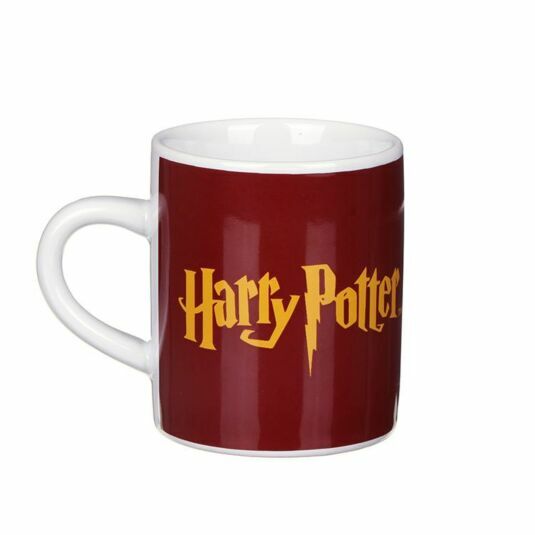 The mug is decorated with a beautiful burgundy colour, and the back is embroidered with the official ‘Harry Potter’ writing, as seen in the movie. This instantly conjures up thoughts of all the magical adventures that Harry and his friends got up to. This product comes in a Harry Potter themed box, making it a fantastic gift for a super fan; be that friends, family, or even yourself. It is sure to be a proud addition to any Harry Potter collection!